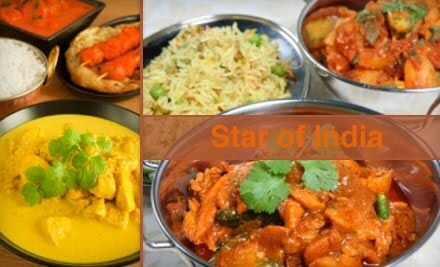 $10 for a $20 Gift Certificate to Star of India!! UPDATE: Certificate can be used with Take Out!!!! Wahoo!! Today's Groupon is $10 for a $20 Star of India Gift Certificate!! I love this place!!! Enough people have already bought this deal so it is definitely ON. Once you pay for the Groupon you'll get an email later today telling you that you can print it. EASY! If your not in Utah you can see your Groupon here.